Wondering where in Fairfax, Virginia you should enjoy your next meal? Whether you prefer Chinese, Mexican, Indian, Italian, Japanese, or good ol’ American fare, you’re sure to find something that satisfies your tastes buds. Reserve a table at one of these popular restaurants in Fairfax. 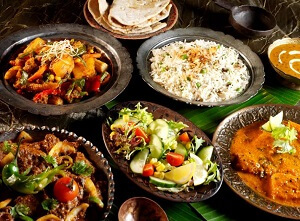 Located in Fairfax Old Town Plaza, Bollywood Bistro offers patrons a fine dining experience with unique interpretations of classic dishes. The contemporary Indian fare includes menu options like Lobster Tomato Bisque, Garlic Shrimp, Chicken Korma, and Shank Vindaloo. Enjoy traditional Bollywood music and drinks as you dine among photos of famous Indian movie stars. Find classic Italian eats at Villa Mozart in Fairfax. With an extensive wine list, cozy atmosphere, and extensive menu, the restaurant is the perfect place to enjoy an evening out on the town. At Villa Mozart, Chef Andrea Pace uses ingredients derived from local farmers in his homemade, hearty dishes. Stop in for a plate of authentic Italian pasta, an herb crusted rack of lamb, beef tenderloin, or another delicious dish. 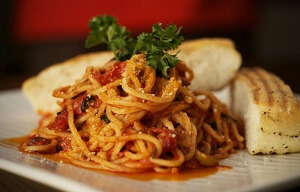 If you’re planning your next lunch or dinner, consider Bellissimo Restaurant in Fairfax. Ideal for date nights or dinner with friends, the upscale Italian eatery offers a lavish setting and extensive menu containing fresh, quality food. The restaurant is owned by Executvie Chef Omar Lavayen and Mary Killay Lavayen. Since opening, Bellissimo has been consistently rated highly by Northern Virginia Magazine. The Fairfax Circle Shopping Center is where you’ll find Artie’s, a casual dining establishment offering a varied menu of American seafood and meat classics. The bar and boathouse décor give the venue a laidback ambience and the small team of employees will make you feel right at home. Artie’s offers a lunch, dinner, brunch, and wine menu consisting of salads, sandwiches, fresh seafood, chicken and pasta, and much more. Coastal Flats can be found in Fairfax Corner shopping center. With its colorful maritime décor and delicious seafood classics, the venue is an excellent option for couples or families in search of a casual restaurant. In addition to a kids menu, Coastal Flats offers starters, salads, sandwiches, fresh seafood, sides, and desserts. Stop in for Low Country Beef Back Ribs or sample a market baked or broiled Jumbo Lump Crab Cake. Ozzie’s is your source of tasty Italian fare like fresh house-made pasta and flatbread pizzas. The venue offers reservations for parties up to sixty, as well as a full menu available to-go. On the weekends, Ozzie’s has a scrumptious brunch menu with items such as chicken and waffles and breakfast flatbread. Don’t leave without dessert, whether it’s a decadent homemade gelato or a warm white chocolate bread pudding. Fairfax knows food. 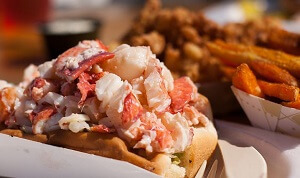 If you’re looking for the best bite in Virginia, you’ll find a wide variety of restaurants that offer a relaxed dining experience. Enjoy your favorite drinks or dishes at one of the best restaurants in Fairfax, Virginia.